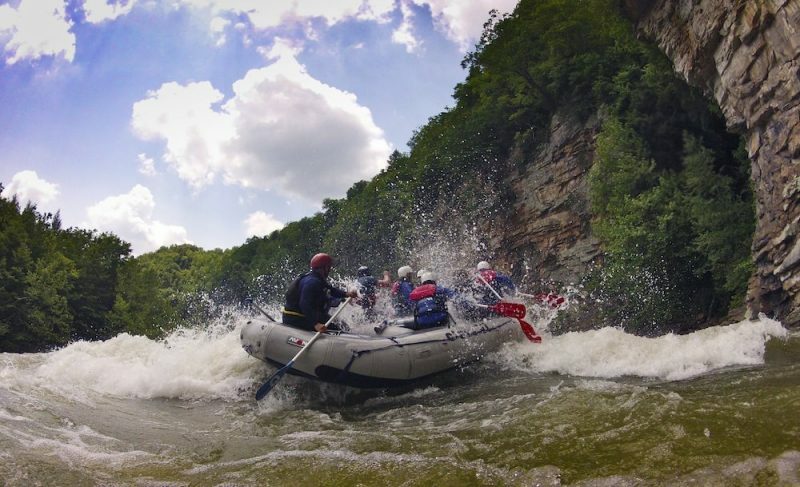 Gauley Rafting: What's All the Hype About? Are you an adrenaline junkie or adventure seeker? 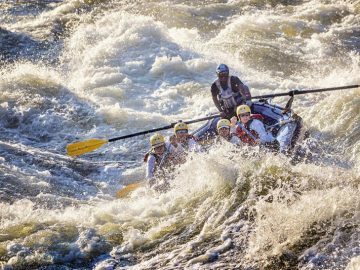 Are you looking for a whitewater rafting trip that’s super challenging? 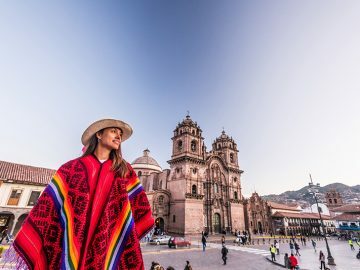 Does the possibility of an out-of-boat experience make you more excited than nervous? If you can answer “yes” to these questions, then you should put West Virginia’s Gauley River on the top of your list. Every year, come September and October, thousands of rafting enthusiasts flock to the Gauley to experience the East Coast’s best (and wildest) rafting trip. What’s the big deal about rafting the Gauley? Let me tell you a little story. My most vivid memory from a Gauley rafting trip is in Iron Ring, which is one of the more notorious rapids on the river. Our guide had set us up with a great line and great momentum, but at the last minute we went sideways. When I saw the water pouring in our boat, I knew we weren’t long for the oxygenated world. Next thing I remember, I could hear the muffled roar of the rapids that I’ve always imagined coming from a crowd of “river gods” who have successfully flipped a raft. I was underwater for longer than I expected. When my head finally broke surface, I glanced around. We were scattered all up and down the river – everyone was accounted for, and I still had my paddle in my hand. The rush of adrenaline was replaced by an overwhelming feeling of success and gratitude. While we did flip in the middle of the biggest and baddest rapid I’ve ever attempted to navigate, we’d also survived. And it would make a great story, right? I would just gloss over the details when I called home and told my mom. The Gauley has more swimmers in a single day than some rivers see in an entire season. I don’t have any concrete numbers for you, but on the day I swam Iron Ring, I swam four other Class III-IV rapids. Of course, not all guides will put you in the water, but you should definitely be prepared to swim. This is the river of which whitewater dreams are made. Gauley rafting season starts the Friday after Labor Day and runs for six weekends during scheduled dam releases (Friday thru Monday the first five weekends, and Saturday thru Sunday the last weekend). 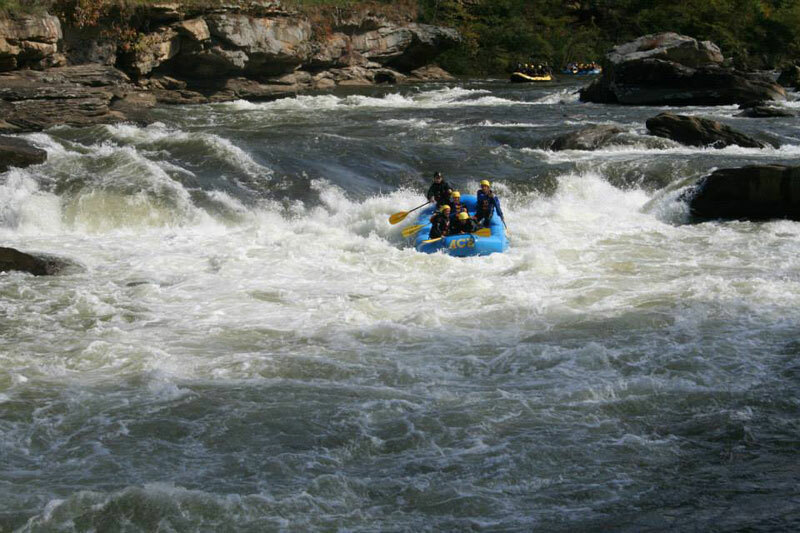 The Upper Gauley is home to six Class V rapids and thirteen Class IV rapids. The biggest rapids are named Insignificant, Pillow Rock, Lost Paddle, Iron Ring, and Sweet’s Falls – and you’ll probably have a story to tell about each one (even if that story is, “We made it!”). With most companies, you can combine the Upper and Lower Gauley as either a 1-day marathon or a 2-day adventure. The 2-day adventure has the added bonus of starting with the Lower Gauley so you can warm up. 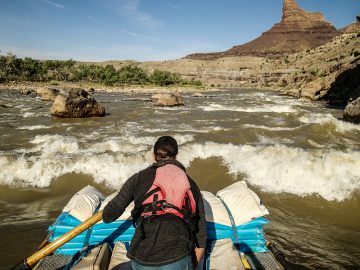 Since it’s such a popular whitewater run with a very short season, advance reservations with an outfitter are definitely a good idea. OARS recommends going with ACE Adventure Resort or Adventures on the Gorge. Cari worked as an O.A.R.S. Adventure Consultant for California and Oregon.